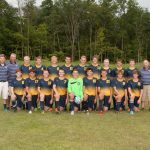 Last night the Boys JV and Varsity Soccer teams traveled to Greenfield-Central to take on the Cougars in HHC play. The Varsity team fell 0-6 and the JV lost 0-2. The Varsity is now 3-8 and 0-5 in the HHC. They will be back in action on on Thursday as they travel to Pendleton Heights. 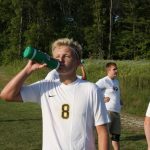 Boys Junior Varsity Soccer, Boys Varsity Soccer · Sep 15 Boys Varsity Soccer Falls to Yorktown. JV Gets the Win.